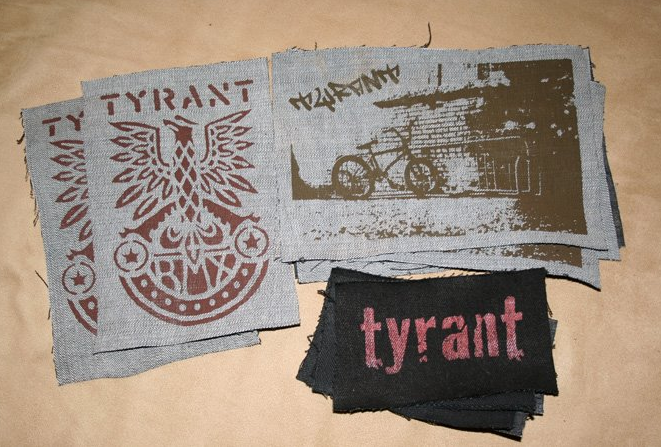 I randomly had a request for some of the punk rock inspired TYRANT patches a few weeks ago so I've been screening a bunch. 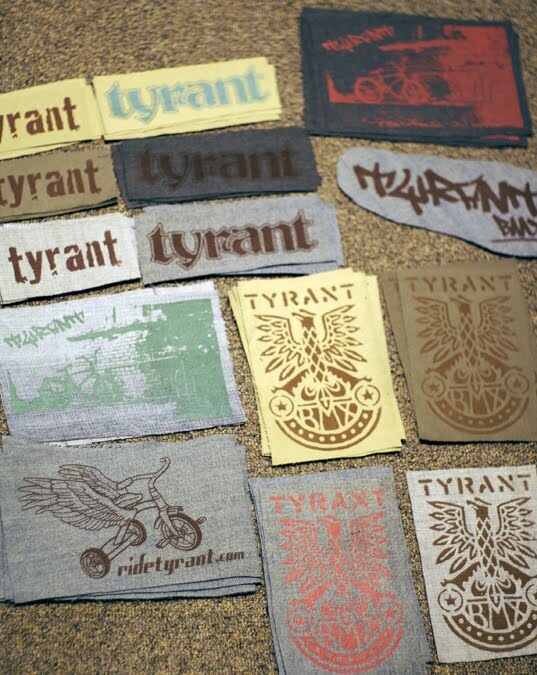 They're only $1 each, and I have 50+ in stock right now fresh off the press. Pin 'em, stitch 'em, glue 'em...whatever. 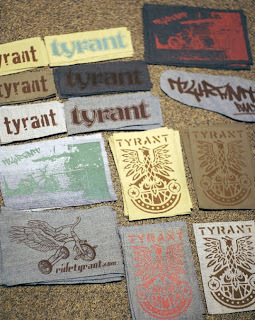 Rock TYRANT on your threads!